Tibet has among the highest maternal mortality rates in the world. Maternal mortality and infant mortality are the most visible and gravest threats that Tibetan women and girls face on the road to mobility and empowerment. Death in the process of creating life is the biggest obstacle they face. Poor quality health services contribute to their risk and hard-to-reach services isolate Tibetan women in pregnancy and childbirth as much as their renowned geography. Second-class status is also economic, meaning that they have little or no disposable income and depend on male heads of households for income. The term “feminist” might have a lot of political baggage for some. In China after 1949 they did a lot for women using the expression, “women hold up half of the sky.” But actually that is incorrect, it is too modest. Half the sky is actually too little. Having a mother is the necessary condition to being alive. Every one of us reading these words was born from a mother. We learn kindness from the first person to give us kindness: our mothers. We can change the situation for Tibetan women and directly give downstream benefit all Tibetans, men, women, girls, boys, monks, yogis, nomads, farmers, truck drivers. 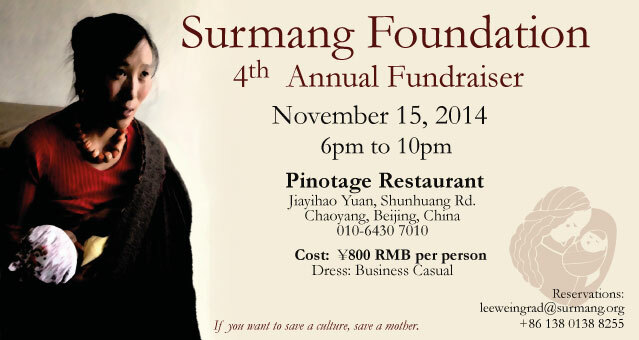 And with your support, we can do this through our philanthropic work, through Surmang Foundation. And so we must all actually be feminists.